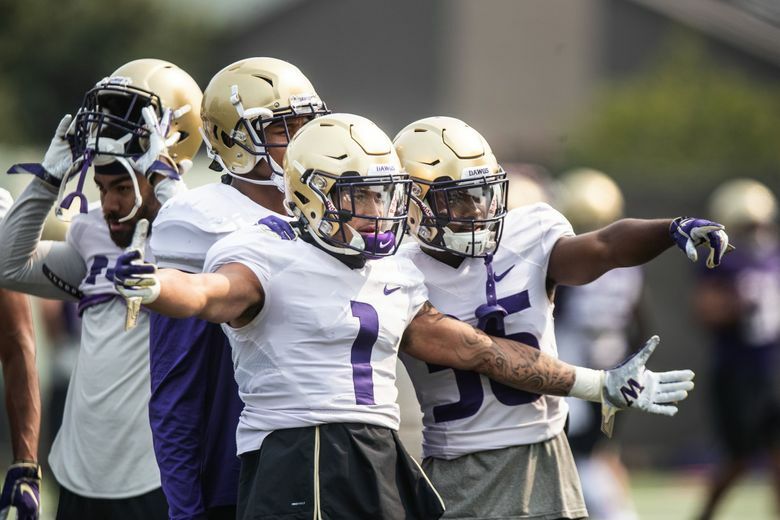 The Huskies enter the season with their highest expectations yet under Chris Petersen. Can they live up to them and make — even win — the College Football Playoff? There's plenty of hype to go around. Twenty-two of 42 panelists pick Washington to make the College Football Playoff, but none pick the Huskies to win it. Ten of 16 panelists pick the Huskies to beat Auburn in the season opener. ESPN analytics give the Huskies a 41 percent chance of making the playoffs and a 10 percent chance of winning it all. Safety Taylor Rapp makes first-team All-America, and left tackle Trey Adams and cornerback Byron Murphy were named to the second team. Matt Hayes: “The Huskies’ return to the CFP will begin with a big win in their season opener against Auburn. Momentum from that victory and quarterback Jake Browning playing like it’s 2016 (not 2017) will give a team with talent and experience the confidence to navigate a dicey Pac-12 road schedule (Utah, Oregon, Washington State). Five of six panelists pick Washington to make the College Football Playoff, but none have the Huskies advancing any further. Five of eight panelists pick the Huskies to beat Auburn.